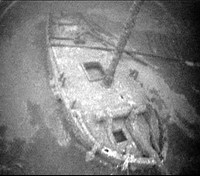 Oswego, NY - A rare 18th century built sloop, Washington (also known as Lady Washington), has been discovered in Lake Ontario off the shores of Oswego, New York by a team of shipwreck explorers. Jim Kennard, Roger Pawlowski, and Roland Stevens located the sloop in late June utilizing high resolution side scan sonar equipment. The sloop was enroute from Kingston, Ontario to Niagara, Ontario, Canada with a full cargo when it foundered during a gale on Lake Ontario in 1803. The Washington is believed to be the oldest confirmed commercial sailing ship to exist in the Great Lakes. It was the first sloop built on Lake Erie and the first to sail in both Lakes Erie and Ontario. Sloops only existed for a limited period of time on the Great Lakes as they were replaced by schooners which had two or more masts and were much more efficient to operate. In early November 1803 the sloop Washington sailed from Niagara to Kingston, Ontario with a small group of area merchants on board. On November 6th the ship departed Kingston on the return trip to its home port. It was reported that the sloop was heavily loaded with general merchandise including goods and groceries from East India. Tragically the Washington was caught in a fierce storm and sank off of Oswego, New York. Portions of the cargo, pieces of the ship and her yawl were found the following day on shore. Construction of the sloop Washington began in 1797 on 4 Mile Creek by Connecticut carpenter Eliphalet Beebe for the Pennsylvania Population Company, an organization that was developing a tract of land just north of Erie, Pennsylvania. The Washington was a small sloop with a carrying capacity of 36 tons. The sloop was initially built to transport people, their belongings and needed supplies from the southern end of the portage from what is now Chippawa, Ontario near Niagara Falls. On September 15, 1798, the sloop was launched just north of the present city of Erie, PA. Its maiden voyage was to Fort Erie for supplies. The Pennsylvania Population Company took ownership of the sloop a month later on October 12th. Two names were proposed for the sloop, Washington and Lady Washington. The name Washington was chosen by the ship’s largest shareholder, Robert Hamilton, a merchant from Queenston, Ontario. It appears, however, that the sloop continued to be referred to as Lady Washington by some. For the next three years the Washington sailed the eastern end of Lake Erie making frequent trips to Fort Erie to move merchandise and settlers between New York State, Canada and Erie, PA. By the end of the season in 1800 it was determined that the operation of the sloop was actually losing money and was put up for sale. In November 1801 the Washington was sold to a group of merchants from Queenston, Ontario. In the winter of 1802 the sloop was transported around Niagara Falls over the portage road (a trail on land between two bodies of water) from Chippawa to Queenston and launched in Lake Ontario, making it the first ship to have sailed both in Lake Erie and Lake Ontario. 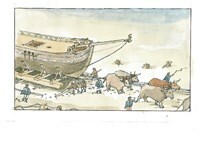 The ship was mounted on runners and, with the use of rollers, was pulled by teams of oxen for a distance of approximately 8 miles to its destination. The trail between Chippawa and Queenston, called Portage Road, now carries motorized vehicles and passengers. For the next two years the Washington would typically transport furs and local merchants (forwarding agents), from Niagara to Kingston, Ontario. Then the sloop would return to its home port with an assortment of goods such as flour, salt, tools, and household items. From the records that exist for 1803 it appears the Washington was making a trip nearly every month to Kingston starting in early April until its final voyage in early November. On the 6th of November, 1803 the sloop Washington sailed out of Kingston harbor on her final return trip to Niagara. On board were the crew consisting of Capt. 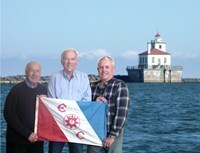 Murray, Peter Bouville and John Neach along with several passengers including Niagara merchants John Dun and John Boyd. After their departure a severe storm developed on Lake Ontario. Sailing vessels arrived at Niagara and not finding the Washington assumed that she had made it to the port of Oswego. Soon afterwards ships coming from that port brought the news that several articles of cargo, pieces of wreckage and her yawl were found on shore near Oswego. There were no survivors. Most of the cargo described as goods and groceries from East India and estimated at $20,000 had been purchased by Messrs. Robinson and Martin of Albany, NY. and Mr. Quetton St. George, a merchant from York (Toronto, Canada). 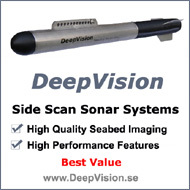 At the end of June our shipwreck search team was conducting a survey in the deep depths off Oswego, NY utilizing high resolution Deepvision side scan sonar. Almost immediately we came upon the sunken sloop. 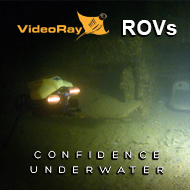 We made a number of scans with the side scan but the conditions were not ideal to deploy the underwater remote operated vehicle (ROV). From the sonar imagery we were fairly confident that we had discovered the sloop Washington, but we would have to wait another three weeks before the conditions on the lake were better for imaging with the ROV and confirmation of the actual wreck. The sloop Washington is the oldest fully intact commercial sailing vessel to have been lost and found in the Great Lakes. 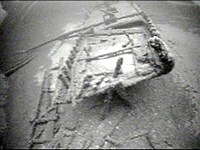 The oldest military ship, HMS Ontario, was lost in 1780 and was discovered by our team in 2008. The Washington was the first ship to sail on both lakes Erie and Ontario. Previously there were no drawings or half hull model of the sloop Washington for archaeologists to study. Now with imagery and measurements there is a better understanding of the design of this very rare 18th century sailing vessel. Sloops on the Great Lakes were soon replaced by schooners which were much more efficient to operate. Historic shipwrecks abandoned and embedded in New York State underwater lands belong to the people of the State of New York and are protected by state and federal law from unauthorized disturbance. Military equipment remains the property of the service branch unless explicitly abandoned. The survey of historic shipwrecks in Lake Ontario is funded by a grant from The National Museum of the Great Lakes of Toledo, Ohio. There are estimated to have been between 6000 to 8000 ships that wrecked in the Great Lakes with over 600 occurring on Lake Ontario. Many of these ships were wrecked or burned in a harbor or were driven on-shore where they were pounded to pieces. Today there are over 200 ships that still remain in the lake. In recent years our shipwreck discovery team has made several notable shipwreck discoveries off the southern shore of Lake Ontario. The lake depths often exceed several hundred feet just a few miles from the shoreline. Shipwrecks located in these depths are beyond the range of recreational divers and require expensive search and support ship equipment to find them. The sloop Washington is one of these ships. These ships were the “truckers” used more than two centuries ago to haul the heavy cargos to various ports on the Great Lakes and along the St. Lawrence River. Jim Kennard has been diving and exploring the lakes in the northeast since 1970. He has found over 200 shipwrecks in the Great Lakes, Lake Champlain, NY Finger Lakes and in the Mississippi and Ohio Rivers over the past 40 years. In 1983 he discovered a unique horse powered ferryboat in Lake Champlain. National Geographic featured the ferryboat in their October 1989 issue. 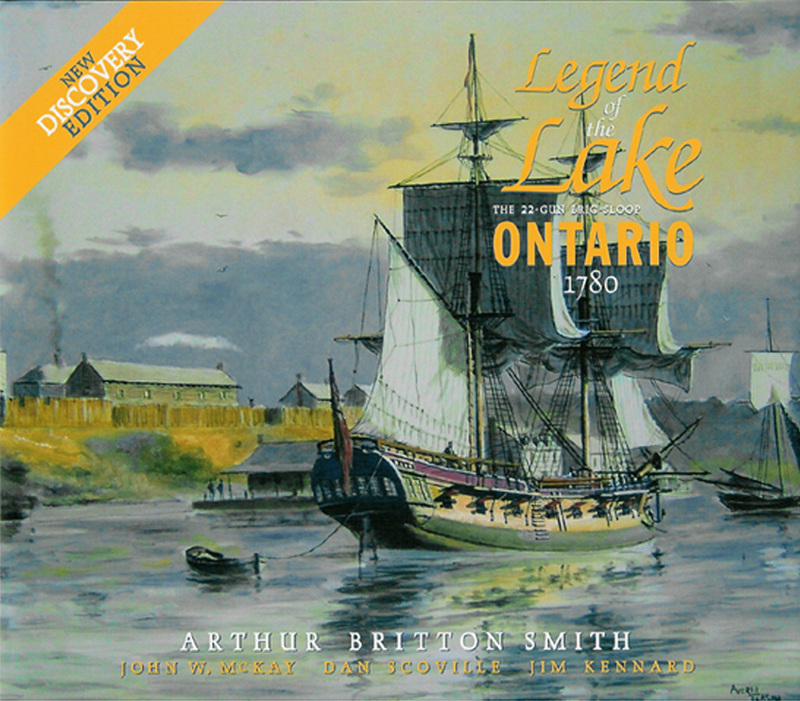 In May 2008 Jim Kennard and Dan Scoville discovered the 236 year old British warship HMS Ontario, the oldest shipwreck ever found in the Great Lakes. Kennard is a Fellow member of The Explorers Club and the sonar owner / operator. Roger Pawlowski has been diving on shipwrecks in the northeast and Pacific for the past 15 years. He is a retired Air Force Reserve pilot and flew missions in Desert Storm. In 1980 while flying a practice mission over Lake Ontario he witnessed a small aircraft plunge into the lake. His details of the incident and location helped Kennard locate the aircraft which was several miles from shore and in over 100 feet underwater. Pawlowski is an electrical engineer and runs his own engineering consulting business. He is the owner / operator of the ROV and survey boat. Roland ‘Chip’ Stevens is a retired architect and working artist whose watercolors, many of which have been accepted into national exhibitions, are well known in the Rochester area. A sailor for over 60 years, Stevens has a love of the sea as reflected in his seascapes. A number of his paintings of shipwrecks discovered by the team have appeared in news stories and publications. Based on the ROV video recording and side scan sonar imaging, Stevens created watercolor paintings of the sloop Washington as it appears today on the bottom of Lake Ontario and what it may have looked like while under sail. how deep did you find her and what are the plans for recovery/salvage. Can you bring her up and restore her in any way? Or too brittle to try and even move at this point. Really cool. No plans for recovery of the sloop or any of its artifacts. Cost for a recovery would be in the millions and cost for preservation 10X that amount. Best to leave the sloop where it is in deep cold water to keep it preserved. Have you done any diving around the duck island area and/or the marysburgh vortex triangle ? Todd -- No we haven't ventured up near the Ducks. - We would need a search permit for Canada - No spinning compasses seen yet! You said that in November 1801 the Washington was sold to a group of merchants from Queenston, Ontario. Do you have a record of the names of the merchants who purchased her ? This is an important find. Are there any plans to do a full archaeological survey? Also, can you point me to a source for the argument that schooners were "much more efficient to operate" than sloops? That's an opinion I am very keen to investigate. Currently there are no plans to do a full archaeological survey of the Washington. The ship is beyond the range for recreational diving. 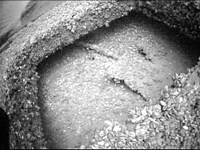 The best we can provide now are images and the historic details in the above article.